June | 2012 | it's a wrap! A group off us thought of trying out something we’ve not done before and we decided to go try out the ATV Adventure (All Terrain Vehicle). I was leaning towards horse riding, but anyway that didn’t fly with some. We were celebrating a few birthdays together this weekend, with mini surprises incorporated into it for some. 1) Pick Up – checked. 2) Surprise to be given at Breakfast Venue – checked. Slight delay, one car got lost. 3) Yummy breakfast – checked. With the works! 4) Drive to the ATV Adventure Park – checked. No getting lost..
5) ATV! – checked. Unforeseen accident. 6) Light Lunch – scrapped. Went to the doctor’s nearby for a checkup for the accident-ee. 7) Rest & freshen up for dinner – scrapped. We forgot to take the accident-ee’s travel bag with us! Drove back to the ATV park to collect it. 8) Cake Collection on the way to dinner – change of plans. Collected it on the way back after getting the travel bag. 9) Dinner out – scrapped. Everybody was too tired. Ordered in. 10) Drinks – scrapped. We stayed home to cut the cake, pass out the presents and pillow talked. It all started with picking up from the various pick up points. And then breakfast. One car got lost and ended up in another destination altogether. That delayed breakfast a little. When they reached, the beautiful little surprise worked superbly well! Our friend came back from China to give one of the birthday girls a surprise! There was the classic shocked/registering presence/ hugs/tears scenario, by the book! 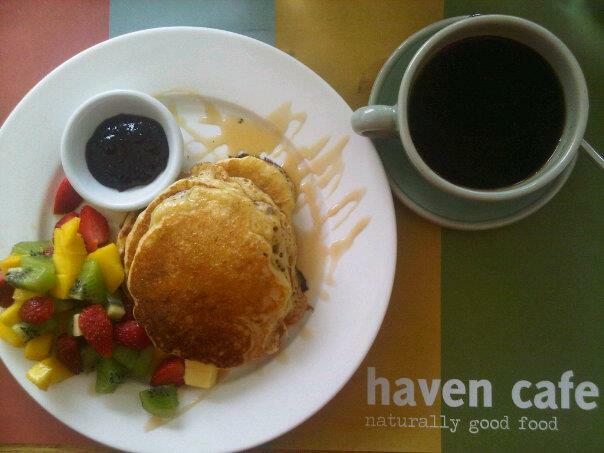 Great breakfast, with the works, fluffy pancakes, fresh colourful fruits, French toasts, eggs, mind jarring coffee! After gales of laughter, a thoroughly noisy meal and photo taking, we set out on our little adventure. It took us around an hour to reach our destination,, the ATV Park. We geared up, got our pointers for the vehicle, went a couple of test rounds, and off we went! I was gripping on to the brakes fro dear life initially, not daring to accelerate too much up those bumpy roads and sliding down steep inclines. But after getting the hang of the vehicle and how it’s constructed, I started to enjoy navigating the terrain and even managed to admire the tall bamboo plants, forming a graceful green arch above. We stopped by a small waterfall, the water was cold, my friend dipped her foot in. It was pleasant, sounds of the forest, lazily floating by. We were separated into 2 batches of 3 for the journey back. I was among the 1st batch. We were getting all camera ready to snap pictures of the rest of them, and we waited. The call that came next almost gave us a heart attack, one of our friends got into an accident! Our hearts racing, we ran down the path, greeted by the sight of our dazed friend on the guide’s vehicle. We checked her for wounds anxiously. She looked blank and asked repeatedly if her crash was serious and if she was hurt badly, she didn’t remember anything. We took her to a doctor nearby to do a check up, doc says nothing to worry about, gave her an anti-tetanus jab and sent her on her way. We had a quick lunch of fishball noodles nearby. Then we headed back to get some much needed rest before the night’s dinner. Only to find out that the accident-ee’s bag is LEFT behind at the ATV Park! After a few calls, confirming that it’s there, a couple of us took to the road again, braved the traffic, narrow winding roads, praying that we’ll make it back out before dark, collected the bag and headed off. We picked up the birthday cake on the way home, got another call to say, we are cancelling dinner and staying in for the night! Yays! I think the couple of us were just secretly heaving sighs of relief. Bone tired, that we were. The food arrived! We devoured them like vultures falling on their prey. Ahhh, so satisfying. Cake cutting ceremony, photo posing/shooting/laughing at candid moment times. Lazily eating the cake, we chatted, laughed adjourned from the dining table to the couch and continued the stories, while eyelids slowly falling milimetre by milimetre as time ticked by. Our pillow talk ended at the grand hour of half past 12am! Ahh, the glories of youth when pillow talks use to end at the minimum hour of 3am, are long gone. Waking up, refreshed by the hours of sleep, we took our time getting ready, went for much needed fuel for the day, a meal of bak kut teh and sent our friends to catch a plane and a train respectively. Conversations and laughter peppered the journey throughout. I’ll never cease to marvel at the wonders of my decades old friendships!